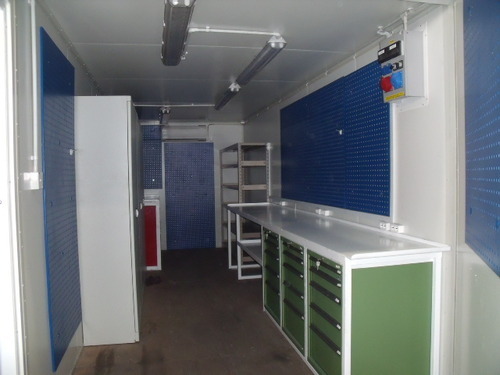 Our product range includes a wide range of containerized office cabins and porta cabin. 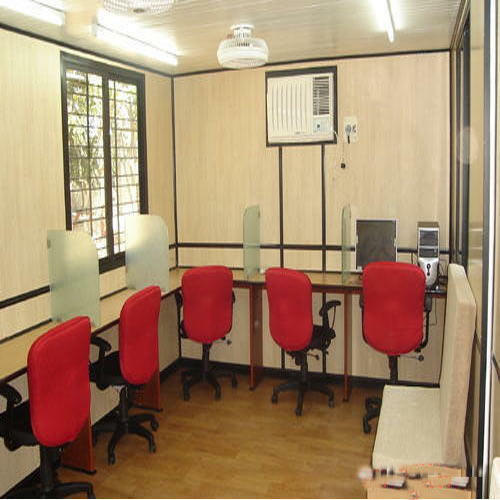 Popular Containerized Office Cabins can be availed from us in different specifications. These are exclusively constructed for office usage and have all the physical facilities needed for carrying out daily work. Moreover, these blocks have appropriate facilities for providing air-conditioning. Our office blocks also have proper doors and windows with aluminum frames and glass. 1. Vandal resistant, Specially anti-steal screw cap can be only disassembled by professional tool. 2. Humanistic design ,Edge passivation treatment, more safety. 3. Surface molding powder, colorful,beautiful and Durable. at least 5 years won’t fade,matched with surrounding. Looking for “Containerized Office Cabins”?